Subway is one of the most recognizable fast food brands in the world, and markets itself as providing healthier options than competitors, and also good value for its sandwiches, which come in 6 inch and foot long (12 inch) sizes. With more global outlets than any other fast food chain, even giants like McDonalds and Burger King, Subway is definitely a household name. However, a lawsuit that showed that the consistency of their sandwich sizes meant that not all customers were getting what they were paying for, has forced the sandwich giant to put an extra step of quality control in place in every Subway store in the USA – measuring the sandwiches. The lawsuit against Subway that led to them having to make these changes was triggered by a 2013 viral photo of a Subway sandwich which was sold as being a foot long, measuring in at barely 11 inches. The photo, posted by an Australian named Matt Corby, inspired people to take action against the misleading advertising the brand put out suggesting that their nominally one foot long subs really were always a foot long. The outcome of the case was that Subway covered $525,000 in legal fees, though agreed to pay only $1000 to the plaintiffs in damages. This does seem like fair compensation given that they had only overpaid for one inch of advertised sandwich! In order for Subway to continue to be able to advertise their sandwiches by length – a key element in their branding – they have agreed firstly to measure every sandwich they sell in the US to ensure it does meet the length advertised, and also to have compliance people to visit outlets and ensure that all stores are actually adhering to these new rules. Additionally, Subway have agreed to update all communications to staff and their training materials for the people who work in their stores to remove an allowance for tolerance in foot long sandwich size. This will mean employees should be left in no doubt that when they prepare a foot long sandwich, half an inch either way is not acceptable. It will be interesting to see how Subway handle the publicity around the foot long sandwich lawsuit and their new regulations. As a very marketing savvy brand, it is likely that they will attempt to use the new measurement requirement as a positive in their advertising, showing customers that they do in fact have quality control in place to make sure they get what they pay for. Strangely, the act of measuring the subs may end up being a new part of the Subway brand identity that actually has a positive impact on how their customers see them, which would be an interesting result from a fast food chain actually losing a lawsuit for misleading advertising brought up against them! Last summer, the employment situation in Bangor, Maine, was looking very shaky, with one of the city’s major employers, General Electric, threatening to move dozens of jobs away from its Bangor Plant to other plants outside of the United States. The reason why this situation came to pass is down to Congress refusing to re-authorize the U.S. Export-Import Bank. When Congress refused to take this vital step, General Electric had no choice but to put their cards on the table. The company was up front with the media, admitting that moving some of its production to factories outside of the U.S. made sense from a commercial perspective – without the U.S. Export-Import Bank, also known as the Exim Bank, their U.S. produced goods are simply too expensive to foreign buyers. The Exim Bank has been loaning money to foreign buyers of U.S. goods for decades and until recently, it hasn’t been a problem. The Exim Bank helps to make locally made goods and produce more competition in the global marketplace, and without its valuable input, U.S. companies like General Electric simply can’t compete with their foreign counterparts, and are then forced to start making cost saving measures – which in a lot of cases involves moving operations outside of the United States. The U.S. House of Representatives voted this week to reauthorize the Exim Bank, and although it was too late for the Bangor jobs, General Electric was delighted at the news and immediately issued a statement to all current employees and suppliers to put their minds at rest. They thanked the U.S. House of Representatives for passing the much-needed legislation to reauthorize and reform the Exim Bank, and commended Congressman Fincher, Kinzinger, Lucas, and the rest of the Democrats for forcing Congress’s hand on this important economic issue. As General Electric says, it is essential that the House and Senate are able to work together on this matter in order that the long-overdue legislation is delivered quickly and without any fuss, because without the U.S. Export-Import Bank, U.S. companies will not be able to continue building and selling American technology in the global marketplace. Not surprisingly, the General Electric/Exim Bank issue has now become a political minefield, with Democrats accusing Maine U.S. District 2 Congressman, Bruce Poliquin, of jeopardizing local jobs. Congressional candidate, Joe Baldacci, counter accused Poliquin of not supporting the bank, but he has of course fought back with a few choice words of his own. Poliquin denies not supporting the Exim Bank. Instead he says his primary reason for not changing his vote against the bank authorization legislation was that he believed it had become increasingly corrupt. He says he has been working on reforming the bank for many years in a bid to address the internal corruption and fraudulent activities he believed were going on, and now that many of his reforms have implemented, he is happy for his vote to count in favor of the bank’s reauthorization. Sadly it’s too little, too late for the GE jobs lost in Bangor last summer. For a new law firm public relations are more than important. There are complete departments made for this branch of functioning. Good popularity and a great quality of your work are very important if you are trying to become successful. That is why advertisement exists. You need to create a good presentation of you and your work. With the advancement of technology and expansion of the Internet, posting an online video on about your work is just a piece of cake. 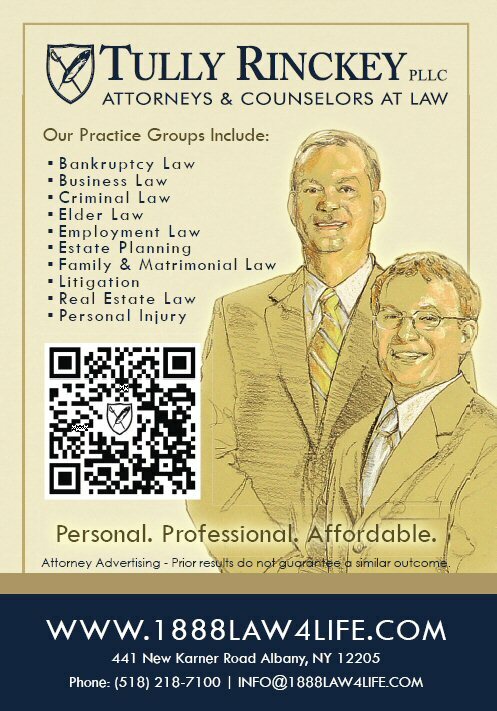 This is the basic way of advertisement of yourself and your new law firm. For instance, you can create a simple video about your company and post it on YouTube. There you can see your advancement and how your commercial affect other people. You can check out your views and see yourself. It is far better than paying some advertising company for results which are not promising. There are many social networks these days like Facebook, Twitter etc. There you can create your own page and you can promote yourself in that manner. Make it funny and thrilling. People can visit that page every single day and even there you can see how your popularity grows. This is very good for your advertisement. This is why is so important that your public relations are on high. Media can play a very big role in your business. They will promote you and speak positively about you. Devotion to your business development is very important. You should devote all of your time to your business development because that is how you are becoming good in your job. Promoting yourself every day and keeping your eye on your regular customers are something that you should be doing every day. Public relations can be good for your business if you are communicational person. In this way you can put some trust in your customers and clients. Everything comes to the placing your product or services and satisfying the market demands. On the market you can have some great competition so it is very important to be better than them. You should be tracking your results every day and track your progress with the public. You should place your name on the business list at first with low prices and a quality work. This is a simple method of success. Eventually you will grow big. One thing that is very good in this stage of your development is definitely the trade associations where you can sell your name for a good price. Getting to know all sorts of people is very good for you in a long and a short term. Knowing key people can help you a lot in your business. Devise your own plan of business and later everything will be easy. Investing in yourself and believing, with a little bit of luck you can become successful. Everything comes to the people and your clients. Think how will you make them to stay your clients for ever.